Simple SEO Group >> Blog, Tips & Tricks >> Content vs. Links – Which One Should I Focus On For SEO In 2017? If you are truly dedicated to improving your page’s ranking, you can’t ignore content to focus only on links. The more content pages you add to your website, the higher you may rank since search engines rank websites that are constantly updated higher than those that are not. Writing more content also gives you the chance to incorporate more keywords within your website and rank on the first page of search results for multiple keywords. For example, if you are a small business with offices in Chicago and Naperville, half of your content could use Chicago-related keywords, while the other half could incorporate Naperville-related keywords. Using this strategy, it’s possible to show up on the first page of search results for both sets of keywords so you can reach customers in both cities. If you spend the time to write unique and useful content for your website, it may also be used by other websites as a resource. If these website owners link back to your content, search engines will begin to recognize that other people view your content as valuable, which will improve your overall page ranking. Because content brings so much to the table in terms of SEO, it’s impossible to completely remove it from your strategy in 2017. Content can help you improve your page ranking, but links go one step further by strengthening your entire domain, not just a single page. Linking to external, high quality resources on your website may affect how Google perceives your domain’s relevance and authority. Why? Google wants users to be able to find the information they need at all times. 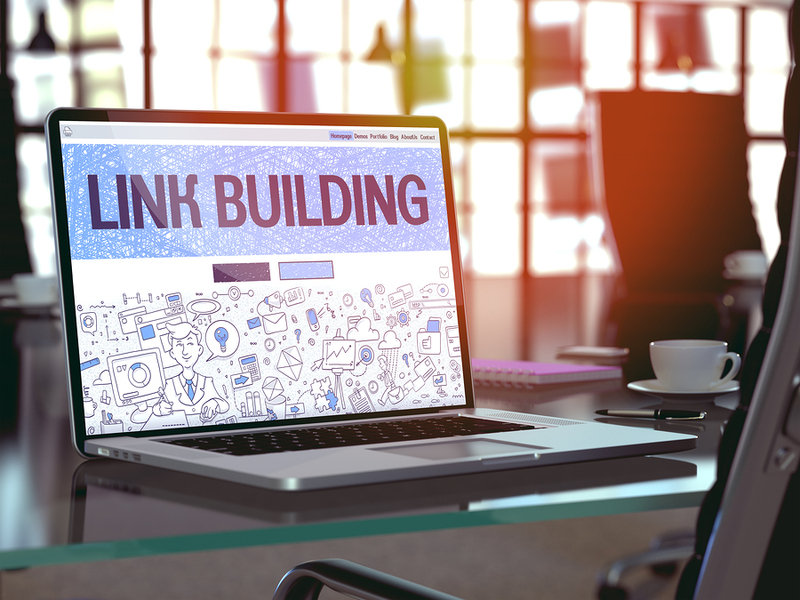 If you add high quality external links to your website, users will be able to click on these links and access valuable content, which will make their search experience more favorable. In turn, Google will reward you by ranking you higher because you are now viewed as a more valuable resource. But, be careful with the external links. Have you ever heard the expression, “you are who you hang out with”? If you choose high quality external links, Google will view your domain in a more positive light, but if you choose to link back to spammy content, Google will associate you with these poor quality links. You should also make sure you are linking to a variety of high quality sources, instead of constantly sending users to the same place. Content is effective in improving the ranking of a single page, while links are more helpful for strengthening your entire domain. A huge reason why content is so important to SEO is because it allows businesses to target keywords. If you’re targeting keywords your customers aren’t searching for, all of your efforts will go to waste. The Google Keyword Planner is a great place to start looking for relevant keywords. Begin by entering in one of your main keywords, such as “cupcake” if you own a cupcake shop, and Google will pull back results for this keyword along with dozens of other suggested terms. The results will show you the average number of searches and level of competition associated with each keyword so you can decide which are worth your time. When developing your keyword strategy, don’t forget about long tailed keywords. For example, instead of using “cupcake” as a term, you should use “Chicago gluten-free cupcake delivery,” since the people searching for this specific term would be more interested in your business if it’s an exact match. Links can also contribute to your keyword strategy, that is, if you use the appropriate anchor text. The anchor text is the clickable text in a link, and the words you choose here may affect your ranking. It’s important to make the anchor text relevant to the link you are directing users to by using keywords related to the content of the external link. If you use irrelevant keywords in your anchor text, search engines may be able to tell, and will punish you for what they believe is your attempt to misguide users who are looking for resources. The rules of SEO are constantly evolving, and many marketers may argue that content is becoming more important while links are becoming less important. Part of this is true: content is becoming increasingly important. Consumers are no longer influenced by traditional forms of advertising, so more and more brands are beginning to recognize the value in authentic content as a marketing tool. The more content that is created, the more competition you have when it comes to keywords and ranking. But, just because content is increasing in importance does not mean links have become any less important as a result. Although you may think it makes more sense to focus all of your efforts in one area, this is not true when it comes to SEO. In 2017, allocate resources to both content and links to have a successful SEO strategy in the new year!